The Fire Bible: Global Study Edition is a new edition of Hendrickson and Life publishers Fire Bible, aimed at filling the need for study Bibles in foreign countries around the world featuring the 1984 NIV text. The original Fire Bible was an edition derived from the Full Life and Life in the Spirit Study Bibles aimed specifically at students and those with less theological background. The Full Life Study Bible was originally published in 1992 and featured extensive study notes written Donald C. Stamps a missionary to Brazil ordained by the Assemblies of God. These notes were later edited and extended for a wider audience and republished as the Life in the Spirit Study Bible. This Bible was then republished as the Fire Bible with the intention of fulfilling Donald Stamps’s first ambition which was to provide an accessible study Bible for international pastors and lay workers in countries which had little access to study materials, and specifically pentecostal materials. The notes in the Life in the Spirit Study Bible were altered once more to exclude cultural bias or references, present information in a way that was accessible to those from any context, and reword the text to be easily translatable (the general content of the notes and articles is identical). This became the Fire Bible: Global Study Edition, perhaps the first Bible intentional directed to be used in a specifically international context. The Fire Bible comes from a strong, undiluted pentecostal perspective, and perhaps even more specifically, Assemblies of God. The Bible’s study notes have a strong focus on the Holy Spirit and the baptism of the Holy Spirit; they are highly Armenian and also present a highly dispensational eschatology (premillenial, pretribulation). This is fascinating first because Pentecostalism has traditionally shied away from a highly developed or directly expressed systematic theology and secondly because this Bible is designed to aid international churches and mission efforts. Some may balk at the idea of a Pentecostal Study Bible being distributed en masse throughout the evangelized world, but statistics identify about 1/4 of the world’s Christians as pentecostal, making Pentecostalism the leader in world Christian theology outside of Roman Catholicism. The Global Study Edition is not “global” in its approach to a balanced presentation of theological perspectives; it has a strong Pentecostal bias. But it was obviously not created to be a balanced presentation of multiple theological interpretations. It was created to present an accesible, but thorough, mainstream Pentecostal interpretation of scripture and this review will evaluate the edition on that basis. The Global Study Edition is built like a chubby hardback book. Make no mistake, it is chubby at 2 and 1/2 inches thick. I enjoy a thick spine and I also like the fact that this Bible is evenly proportioned, it is a nice, fat rectangle, with 8.5 x 6.6 dimensions. The binding seems like a hybrid of both sewn and glued, which would be sensible considering the size of the text block. While I like the size and shape of the Bible, these friendly dimensions come at a price. The wealth of information that’s inside this Bible is not easily packaged, the insides seem like what could have happened if Crossway had chosen to stuff the contents of the ESV Study Bible in a similar size volume instead of the massive size they currently publish (although the new personal size ESV Study Bible looks like what may be a design miracle). What the Global Study Edition achieves on the outside comes at the cost of the inside. The paper is thin, lightweight and highly transparent. It contains perhaps the worst ghosting I have ever seen. With paper this thin, it makes me wonder at the thickness of the spine. This Bible is full of information, and pushes 3000 pages. The binding holds all of this information in a decent size and shape, but does so with some obvious compromises. Global Study Edition features extensive notes and articles and the text of both the scripture and the notes is printed in a clear sans serif 8/9 font, with the study note headings at a bold 10/11 font. This creates readability, but also means that the information has to be squeezed onto the page. The layout barely avoids the cluttered look with a full center column reference system, comprehensive study notes and theme finder symbols. There are few margins to speak of and the text definitely curls deep into the inside gutter, which means reading the inside column of scripture difficult at times. Despite the obvious flaws, this is not a bad layout. Primarily because of the wealth of information presented on every page. The ESV study Bible managed to squeeze the information in by presenting a minor amount of scripture on each page and minimizing the font of the study notes. Here the study notes are very readable and while the bold headings inside the notes should be smaller, this layout lends itself more to a reference work than a reading Bible. The bold headings and large font for the notes make finding themes and subjects within the reference and study material easy. While I wouldn’t discount this as an everyday Bible, the wealth of study notes and materials do draw away from the readability of the main text, especially when reading the prose sections of the Bible. This layout creates an unusual readability for the notes at the cost of some of the readability of the scripture (which is black letter text). You can see a PDF of the layout here. The notes and articles in this Bible are extensive, comprehensive and cover just about every major topic of the Bible and some minor (as critics of the articles on wine are quick to point out) as they touch on a large percentage of the Bible’s text. The Global Study Edition has been compared to an entire Pentecostal Library and it does probably contain the most thorough examination of the Bible and theology from a pentecostal perspective of any resource available. In addition to comprehensive study notes and large articles on doctrine and history, the Bible contains in-text maps and charts. 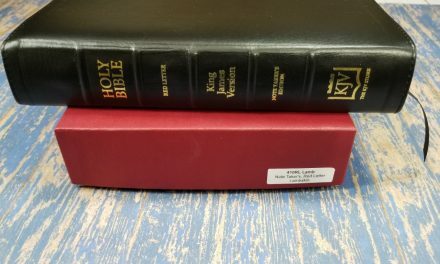 The wealth of information is comparable to the ESV Study Bible and though the notes were written by a missionary and not a PhD in theology, they are often grounded in scholarship (which is occasionally cited) and presented in passionate, muscular prose. The notes are mostly interpretational rather than informational, but they often inform as they interpret. Though they present a holistically Pentecostal perspective, they can be valuable to non-Pentecostals as well, because of the focus on pnuematology, the study of the Holy Spirit, a highly neglected focus in the mainstream evangelical church. 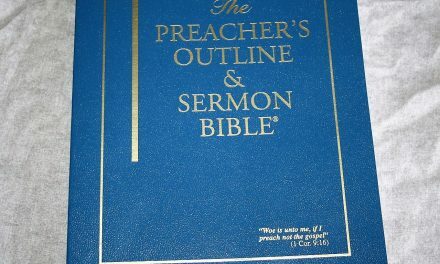 The Bible also features lengthy book introductions with ruled space for note-taking, and Themefinders, a topical chain reference system which tracks twelve themes through the text. 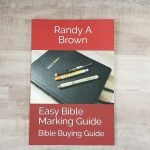 The features at the end of the Bible include a Bible reading plan, a large topical Scripture Index, a 162 page concordance that features proper names and packs three columns of 5/6 point text per page and 16 color maps with an index. 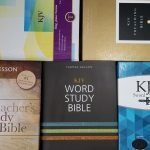 All of these tools are highly useful and would be a welcome addition to any Bible, there are few study tools that are left out! Notes, articles, book introductions, and other helps are presented by Bible scholars of our time who honor God’s word as our ultimate authority. In the words of General Editor Donald C. Stamps, … “the major purpose of this study Bible is to lead you, the reader, to an abiding faith in the holy scriptures” The words of the editors do not rise to the same level as the blessed, inspired Word of God. For this reason and because of cultural differences, all readers may not completely agree with some of the editorial opinions expressed. The editors do continually lead us to learn from the Word itself. “Now the Bereans were of more noble character than the Thessalonians, for they received the message with great eagerness adn examined the Scriptures every day to see if what Paul said was true” (Acts 17:11). It is the believer’s responsibility to learn for himself what God’s Word is saying to him. With this statement in mind and heart, one can trust the Holy Spirit to guide us into the truth with the aid of the study helps or in spite of them. The strong position of the notes should be emphasized, but the passion behind them is evident. The notes are far from stuffy and this is the only study Bible I know of which was primarily created by missionaries for missionaries. 4:6 NOT BY MIGHT NOR BY POWER, BUT BY MY SPIRIT. Though this message was spoken to Zerubbabel, it applies to all God’s people (cf. 2Ti 3:16). Military might, political power or human strength cannot accomplish God’s work; we can only accomplish his purposes if we are enabled by the Holy Spirit (cf. Jdg 6:34; Isa 31:3). Jesus started his earthly ministry in the power of the Spirit (Lk 4:1, 18), and the church was empowered to begin its mission when Jesus sent the Holy Spirit to fill his followers at Pentecost (Ac 1:8, 2:4; see article on BAPTISM IN THE HOLY SPIRIT, p. 1988). Only as the Spirit continues to guide and empower our lives will we accomplish God’s plans for us. This is why Jesus continues to baptize his followers in the Holy Spirit (see Lk 3:16 note). While many may shy away from a clear exaltation of the Holy Spirit’s continuing ministry, the Fire Bible makes our dependancy on the Spirit for personal holiness, and empowered ministry clear as it does its position on the baptism of the Holy Spirit (although it does not support its position on the baptism of the Holy Spirit in this note, it supports it at other places with arguments developed through scripture and with an examination of the Greek). 2:20 I HAVE BEEN CRUCIFIED WITH CHRIST. Paul describes his relationship to Christ in terms of a deeply personal attachment to and reliance on his Lord. Those who have true faith in Christ should consider themselves to be united with him in such a way that they relate to and identify with Jesus in both his death and his resurrection. (1) In a sense, all Christians have been crucified with Christ on the cross. Their old sinful, rebellious way of life was put to death with Jesus as he took their sin on himself and paid its full penalty through his own death (see 2Co 5:21, note). In addition, Christians have been freed from the law’s requirements of having to rely on imperfect sacrifices as a way to receive forgiveness and maintain a relationship with God. Christ’s perfect and sinless life provided the complete sacrifice for sins once and for all (cf. 1Pe 3:18). Those who accept the forgiveness provided by that sacrifice receive a new life (2Co 5:17) by faith in Christ (v. 19), which allows them to fulfill God’s highest purpose for their lives. Because of spiritual salvation and a personal relationship with God through Jesus Christ, sin no longer has control over them (see Ro 6:11, note; cf. Ro 6:4, 8, 14; Gal 5:24; 6:14; Col 2:12, 20). (2) We who have been crucified with Christ now live with the same power that raised Jesus from the dead (Ro 8:11). This means that Christ and his strength live within us through the guiding presence of the Holy Spirit (Jn 16:13-14). Jesus has become the source and focus of our lives; he is the center of our thoughts, words and actions (Jn 15:1-6; Eph 3:17). Our primary aim is to fulfill his purposes and honor him in all we do. (3) Our opportunity to relate to and share in Christ’s death and resurrection is a gracious gift of God, and it becomes activated through faith in Christ. That faith is not just an intellectual belief, but an active trust that surrenders the leadership of one’s life to the Son of God, who loved us and gave himself for us (cf. Jn 3:16; see article on FAITH AND GRACE, p. 2100). Living by faith in Christ is also referred to as living by the Spirit (3:3; 5:25; cf. Ro 8:9-11). This is the beautiful gospel presented clearly, soundly and with passion. It gives a doctrinal overview and a number of supporting verses and it does so in simple, accessible language. This is the daily gospel for those who have received the new birth. Of particular interest, however, is the final comparison between “living by faith” and “living by the Spirit.” While I have not meditated the comparison, I am somewhat surprised to find them identified as identical, though they are undoubtedly complementary. There are many who claim to live by at least a saving faith in Christ who rarely acknowledge the Spirit. Living within faith in Christ does not seem identical to living by the leading of the Spirit; however, further investigation is merited. The Fire Bible: Global Study Edition is a comprehensive resource filled with study aids and helps, making it an important study tool. The difficulty in containing all of its information creates a congested layout that is very usable for reference but a little busy for simple reading. The notes and aids themselves present valuable Biblical and doctrinal interpretation and information through a Pentecostal lens, and they do so with passion and missionary zeal. Few outside of the Assemblies of God will agree with every point of the Fire Bible’s theology, but the wealth of information within this Study Bible has the ability to enrich the study of all mainstream evangelicals. The Global Study Edition is intended to reach a global audience and aid the work of international Christians and the evangelism of the world. The profits of the Fire Bible are invested in producing Fire Bibles for overseas missions and the edition has its own Bible Society which invests in providing for mission endeavors around the world. 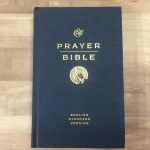 Few would find this their everyday carrying Bible, but it is an admirable project and a useful resource. 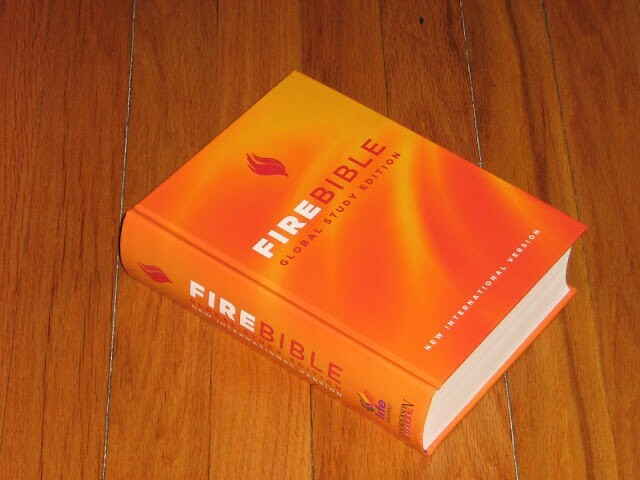 You can read more about the history of the Fire Bible here or by reading the full account of its creation . My thanks to Hendrickson Publishers for providing this free review copy. I was not required to write a positive review, only an honest review. 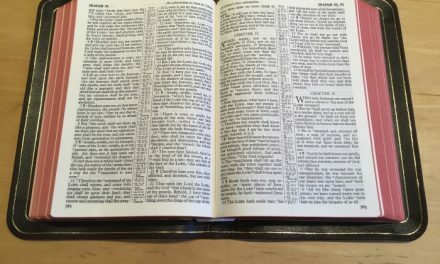 Which Fire Bible would hold up better in the long run ? My wife and I study a lot and are hard on our books. Please, if you can tell me which Fire Bile version would hold up best ? For example, would a hard cover be better than a leather back ? Or would the Global hold up better than the student edition ? Thanks a lot for your help and you did a great job on the review on the Fire Bible ! Hi Lon. Leather is your best bet. If the translation you are looking for is available in genuine leather that’s the one I would get. The only genuine leather editions that I’ve seen available are NIV and ESV. The student edition is a little smaller, so there might not be as much stress on the binding, although I haven’t seen it in genuine leather. I think imitation leather would hold up better than hard cover, but that’s just a guess. I don’t recommend the softcover edition because I think as much as you study (bravo to you and your wife) it wouldn’t last long at all. I also don’t recommend bonded leather because it will wear out quickly. For the price the hard cover would be easier to replace if you wore it out. Between imitation leather and hard cover I don’t think either one is a bad choice- they just won’t last as long as genuine leather. Do you have any recommendations for bible covers? We love this bible!!! The global study edition is amazing! It is so large that I am unsure what covers to try. We usually get the imitation leather . Thank you for your suggestions. Great review, by the way! I haven’t seen it yet, but that’s one that I’ve considered.